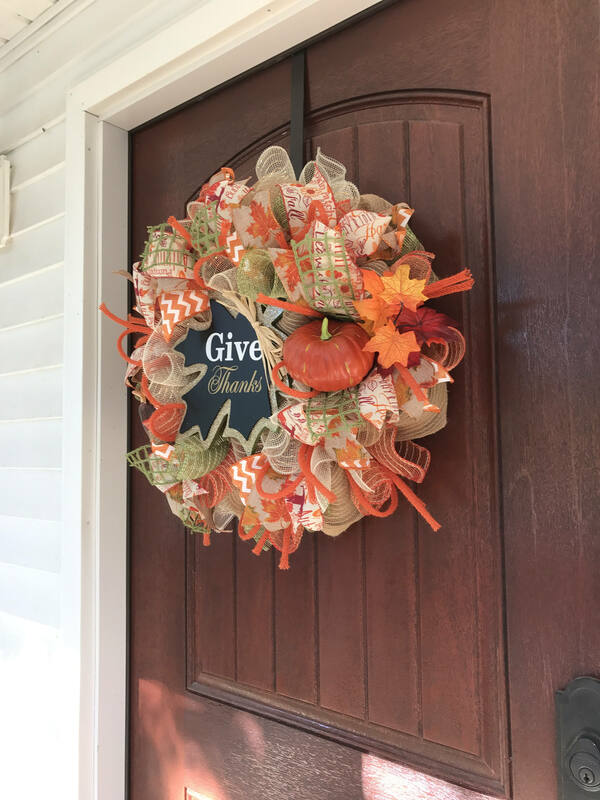 Decorate your door with this beautiful Fall wreath. 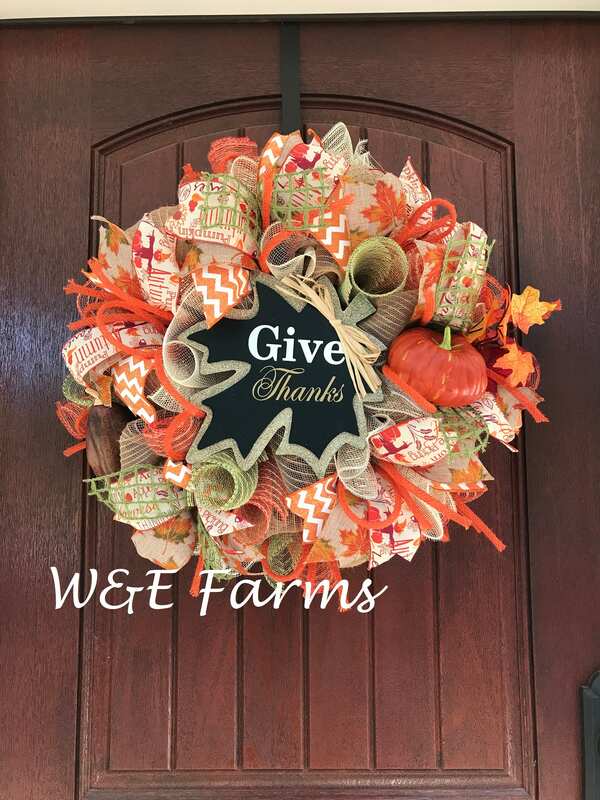 Made with deco mesh, ribbon, deco tubing, a faux pumpkin & gourd & a wooden Give Thanks sign. 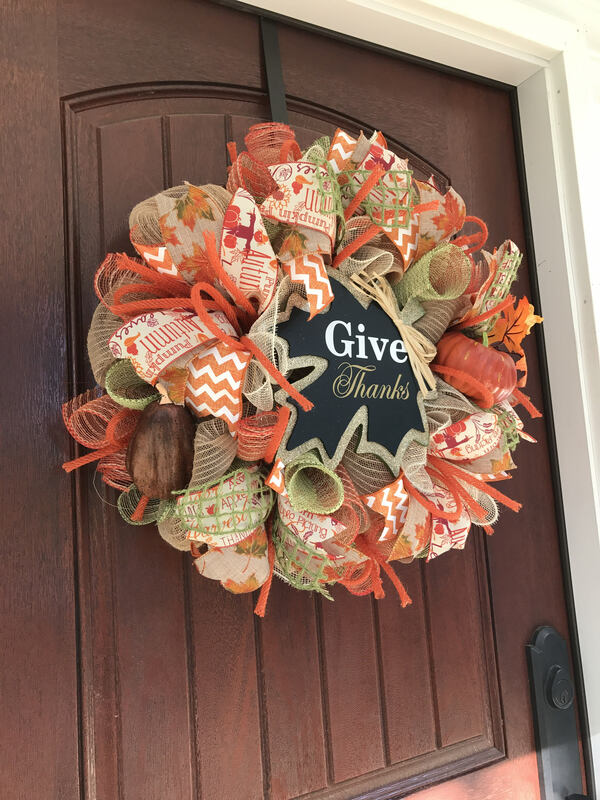 Wreath measures approximately 22 inches across. All Wreaths are handmade and may vary slightly from the picture.